This morning I read this piece about writers and their book collecting habits, content in the knowledge that aside from a few dozen dictionaries I don’t really collect books. Clean and dress turkey. Rub insides with salt and pepper. Stuff neck cavity. Fasten with metal pins. Fill body cavity loosely with stuffing. Rub with butter or make a paste of ½ cup butter , ¾ cup flour; spread over all parts of turkey. 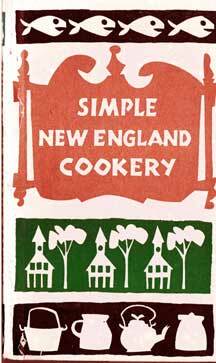 Here’s a bibliography of Peter Pauper Press cookbooks. The only little book that worries me is Cooking to Kill! The Poison Cookbook, which is billed as “The cookbook to end all cooks.” Ulp. The link to the book collecting habits of several well known writers is interesting, but there’s lots out there on this that I like much better. For example, Overbooked in Arizona is about a book seller hunting for books – the insane, maniac compulsions that propel book sellers – and book collectors. It’s about being anywhere and knowing with absolute certainty that there’s a treasure of firsts just outside your ken, a bit out of reach, just waiting for you to discover. For Gottlieb and his like, the casual perusal of garage sales, estate sales, thrift shops or bin boxes does not exist. It’s a frantic, pressured, insistent dive into an alternate reality where the only thing that matters is the object of desire. It’s an exquiste treatise on collecting, written as fiction, but to any collector of anything, more true than any non-fiction you’ll read. Here’s an interview with Sam Gottlieb on how he came to write Overbooked in Arizona.